Oh that instrument panel illumination looks good! Shows the Ralliart with HID lights now - has this always been the case? 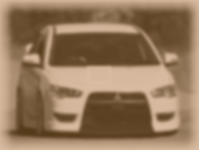 I like the front lip option for standard Lancer, although wish they included more of the car in the photo.